MOTOR CONTROLLERS use low current, low voltage input signals to drive motors with higher voltages and currents. 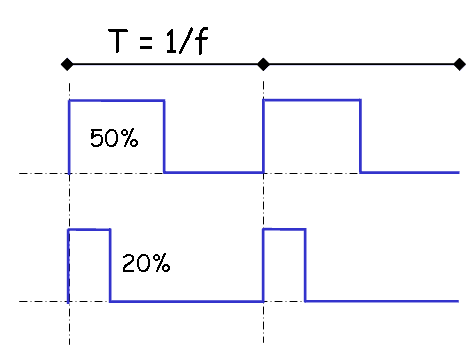 The output of a motor controller is PWM based, which stands for pulse width modulation. 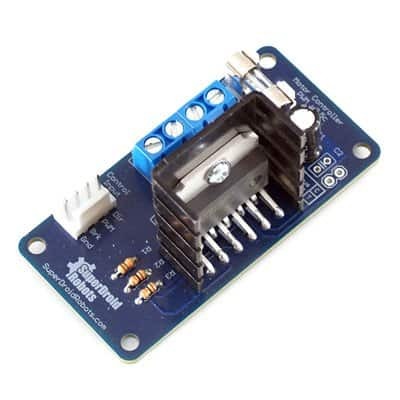 The concept of a PWM signal is to switch the output power on and off really fast in order to reduce the average voltage supplied to the motor in order to precisely control the speed of a motor. We came up with the PWM Motor Controller 3A 12-55V four customers needing an affordable product. This controller has three inputs: direction, brake and PWM, and include two large, two-position power terminals. They can also accept up to 12AWG wire. To save IO, we designed the brake and direction inputs with optional pull down resistors.